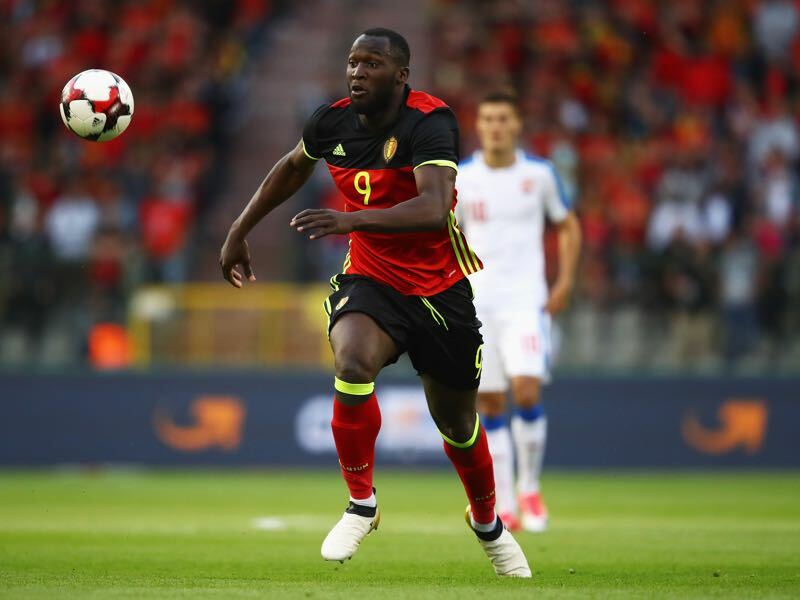 Romelu Lukaku – Destination Bayern München? 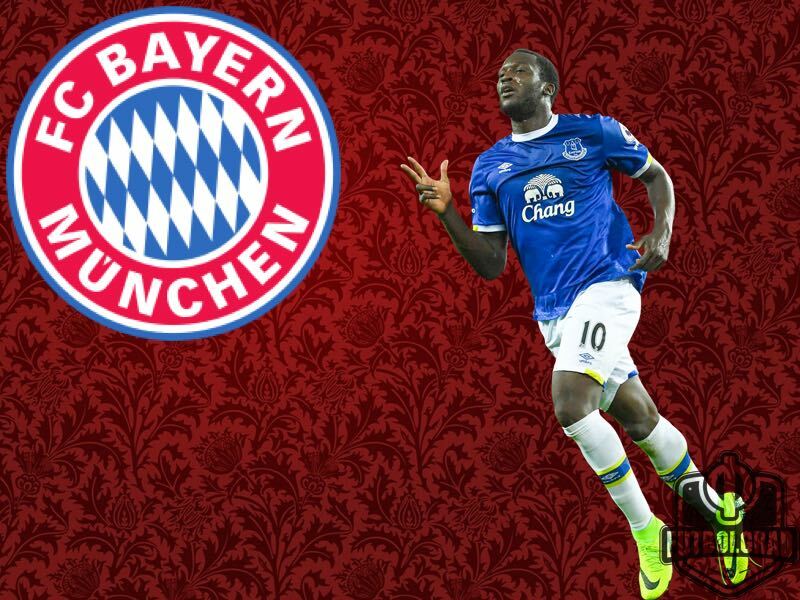 Discussed four weeks ago on the Futbolgrad Network Gegenpressing Podcast—there now seems to be credible rumours in both Germany and the UK—via Spox and the Manchester Evening News—that Carlo Ancelotti is keen on bringing Romelu Lukaku to the Allianz Arena. Whether Die Bayern can hijack a supposed deal for Lukaku to move to Chelsea, remains to be seen. The striker’s father, Roger Lukaku, who acts as the player’s advisor (not the agent), has been alerted to a new interest from Bayern München and is understood to be very receptive to a move east to the Bundesliga champions. With Bayern losing key figures to retirement at the end of last season, a move for Lukaku may signal an intent to change the style of play. The 24-year-old native of Antwerp rediscovered his potential while at the Merseyside club, Everton. Initially arriving in England with Chelsea in 2011, the ex-RSC Anderlecht player struggled to make an impression into the West London club. In Lukaku’s first Chelsea season, then-manager André Villas-Boas confined him either to the bench or not in the match-day squad. Lukaku only managed to notch eight Premier League appearances for the entire 2011/12 season. Roberto Di Matteo then agreed a season-long loan move to West Bromwich Albion—for the 2012/13 season Lukaku found himself as a Baggie and notched 17 goals in 38 appearances, even managing seven assists—he had shown he had the quality to deliver in the English Premier League. The striker’s re-appearance at Chelsea coincided with the return of José Mourinho, the Portuguese manager brought him on as a substitute in extra time for Fernando Torres, during the European Super Cup Final versus Bayern München. Lukaku’s only telling input to proceedings was to miss the vital penalty which enabled Bayern to win the trophy 7:6. It was to signal the end of his time at Chelsea—he was quickly dispatched on another season-long loan, this time to Everton, eventually joining the Toffees on a full-time basis for £30m in July 2014. Everton made their move after witnessing the Belgian score 15 goals in 31 league games, a prolific return. Two further good seasons followed, and even though Everton had faltered, Lukaku had been their shining light. Last season was by far his best in blue, 26 goals and seven assists in 39 matches took his Everton total to 87 goals and 29 assists in 166 appearances. With a high goal scoring return now a constant to his play, it is unsurprising to see the Belgian linked with a move to a Champions League playing side. Where would Lukaku fit into Bayern’s plans? If not for Robert Lewandowski, Bayern’s talisman, Lukaku could slot straight into the preferred formations of Carlo Ancelotti. Both Everton and Bayern have adopted the 4-2-3-1 and 4-3-3 formations during 2016/17. It is unlikely though that Lukaku would either oust Lewandowski or accept a place on the Bayern bench. Could we see an adaption to the much in vogue 3-5-2? This system would certainly allow a deadly combination of Lewandowski and Lukaku to thrive. It could also help with the transition post-Lahm and Alonso. Hoffenheim arrivals, Sebastian Rudy and Niklas Süle, are already versed in the 3-5-2 after spending time with Julian Nagelsmann. The young German manager is already tipped to replace Ancelotti at the end of the 2017/18 season, a move to his favoured 3-5-2 now would set the foundations should any step materialise. Lukaku is an out and out striker – fully adept at taking defenders on at speed; he can also find the net once they have been left in his wake. Worthy of note is his link up play, it is also of a high calibre, 36 assists in 204 games as the central striker gives a real insight into his ability to turn provider as part of any front two. It is the Belgian’s ability to find the net which will interest Die Bayern the most. One of Lukaku’s standout performances last season came in the 6:3 demolition of AFC Bournemouth. Scoring four times, twice in a minute late on, the Everton striker displayed the very clinical nature which attracts Bayern München to make a move in the transfer market. With a move from Everton now looking increasingly likely, it could be that Lukaku’s next destination could be Munich. With Ancelotti looking to build a new squad capable of going further in next season’s Champions League, the highly-courted Belgian could be just what the Munich champions need to start a new chapter in their illustrious history.